Technically, a computer, printer, or other device could be programmed to use this address, but it's not recommended. This often leads to IP address conflicts. 192.168.1.1 belongs to the private IP address range typically used for private networks. The private IP address range starts with 192.168.0.0 and extends through 192.168.255.255. It isn't always necessary to know your router's IP address. Phones and other devices can find the router by its name (SSID) whenever they need to get online. However, knowing the address becomes important when you set up a new router or troubleshoot a home network problem. The router has failed and is unresponsive to connections through the browser. The router is set up to use a different address and not 192.168.1.1. If you can log into your router with the default administrator ID and password, the router is poorly secured and anyone could log into it. Change the default administrator password to secure the router. If the router is not set up to use 192.168.1.1, check the manufacturer's documentation or website (using your mobile phone) to find the correct default address and try again. Other common router default addresses are 192.168.0.1 and 192.168.2.1, but there are others. 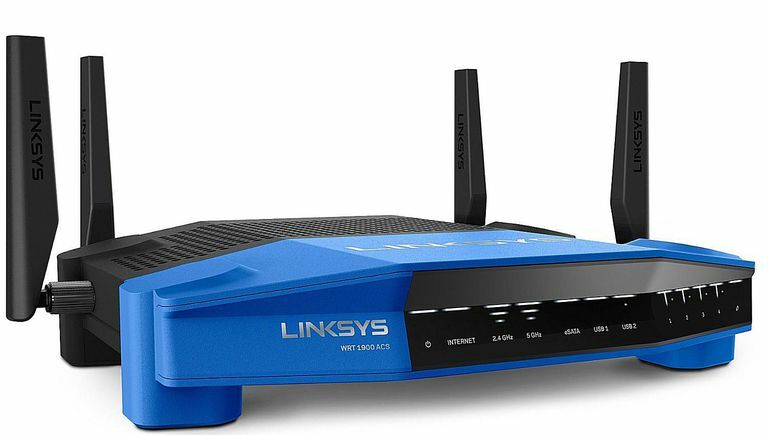 Follow network troubleshooting steps to determine why a router set up at 192.168.1.1 is not responding. The issue may lie with the router itself, with the client device, or with the connection between the router and client such as cabling or wireless interference issues. The following are some common methods to get an unresponsive router functional again. Unplug the router, wait a few minutes, and then plug it back in. Wait until all the lights on the front of the router have turned on or are blinking before trying to connect again. Some routers occasionally need a restart after a power outage, due to improper startup while the ISP's own equipment was down. In many cases, Internet Service Providers (ISPs) set up routers to use an internal network addressing scheme other than 192.168.1.x. To find out what the default IP address is for a router, use the IPCONFIG command on a computer that is connected to the router through a wireless or wired connection. Type command prompt to display a list of possible matches. Select Command Prompt to launch the app. At the C:\> prompt, type ipconfig and press Enter. This gateway address is the IP address of your router. Open a browser and type that IP address to log into the router using the administrative ID and password. If restarting doesn't work, find the reset button (usually on the back of the router) and press it until the router restarts. Some reset buttons are inside a small hole and require a pin to push it. Check the manufacturer's documentation for specific instructions on resetting the router. Also, check the documentation for the default administrative ID and password. After you reset a router, it reverts back to the default ID and password. So it's a good idea to log in and change the administrative password to something other than the default. Never reset a router unless you know what default administrative ID and password the router will revert to. Otherwise you could be locked out of the router permanently. Even if a router at 192.168.1.1 is functioning correctly, there could be issues with the wireless card configuration in your computer, or even issues with the ISP. There are many reasons you may not be able to get a good internet connection. It's a good idea to be methodical when you troubleshoot internet connection problems until you find the issue.